Get 60% of each icon purchased. Each time someone purchases your icon for $2.99, you earn $1.80. And we pay all transaction fees. Get 40% of the total shared subscription revenue. Subscribers get unlimited access to all of our icons, including yours. So we add up all the fees from subscriptions and pre-paid purchases and divide it by all the icons that got downloaded through subscriptions, including yours. All that crazy math gives us a rate-per-icon downloaded. The number will change every month, but we always give 40% of it back to the creators, including you. And we still pay all transaction fees. Get 40% of total shared API Usage revenue. We divide the entire month’s API fees by the total number of API icon uses. That gives us a rate-per-icon used. You still get 40% of it for every one of your icons used through the API. If you’ve earned money from your uploads, you’ll be able to see a monthly royalty statement on your dashboard. It will show how much you’ve earned and the complete breakdown of how many downloads your icons received. While on your Uploads page you can view each icon’s total number of downloads since it was first approved to the site. 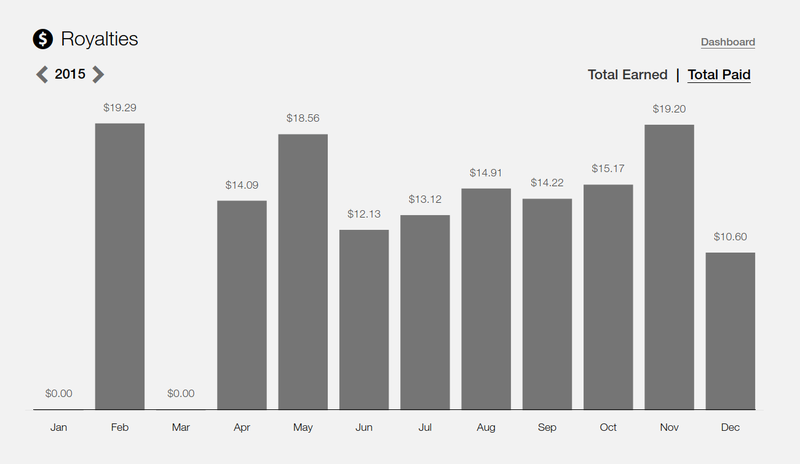 There’s also a bar graph visualizing your total earnings each month. 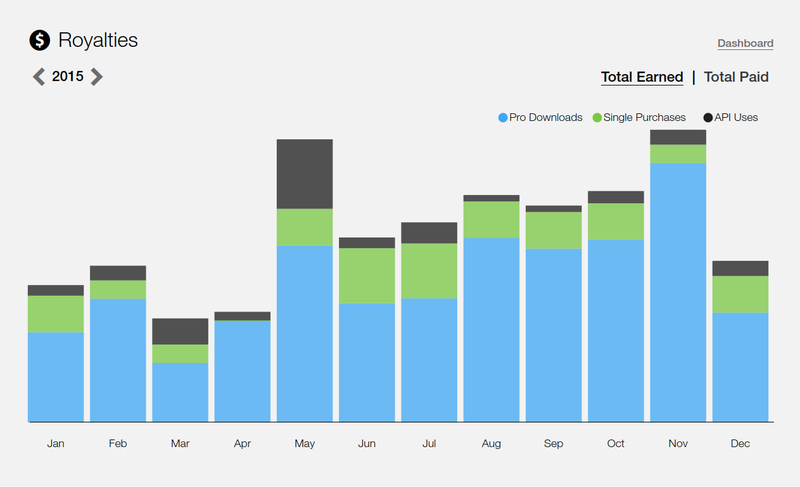 Access this when you click View All Royalties from your dashboard. You can also view payouts over time broken down by month and year if you click on Total Paid while on your royalties page.